So now I’m back from my travels and everything is back to normal, I’m realising a revival of two pastimes which I’ve always loved. Reading and long walks. This year, the walks have become more prevalent and enjoyable. I’m fact, it was something I was looking forward to returning to, when gallivanting around the world. Walking with Oscar, through the cold, winter countryside. Yes, really. I do actually love where I live. Do you? Also, amongst the wandering around my local area, I’ve gone walking with a walking group and a jaunt up to busy old London too! The walking group went around East Malling and even though it was a cold day we were lucky enough to have some sunshine and it was quite glorious. Love walks like this because they are so invigorating and the English landscape is so flipping wonderful. It is good for the soul. The London walk was from the book Walking London -Soho to Trafalgar Square. As much as I love walking around local farmland, orchards and woodlands, the London walks (or any interesting city) are gratifyingly fascinating too. Particularly, if you follow a written walk and it is a good way to investigate hidden city gems as well. During the stroll, it became obvious Soho isn’t a red light district anymore but a cosmopolitan blend of cafes, fashionistas, theatre and quirky historical areas juxtaposed with modernity such as the BT tower. On the corner of Scalia Street is Pollocks Toy Museum. Benjamin Pollock 1937, and is one of the last producers of toy theatre scenery. Strolling down the back streets, with pretty gardens, pubs and wine bars is great as you try aimlessly to imagine how unglamorous it would have been, just a century before. The main aspects of this jaunt included Berwick Street Market, Broadwick Street, birthplace of William Blake, Carnaby Street, China Town, the National Gallery and Trafalgar Square. China town is colourful with the red lanterns and leads you into the always manic Leicester Square. Must admit to really enjoying a long city walk and looking at all of the sights. A self guided walk is the best solution to independently experiencing the city and even if you live near it, there will always be surprises in store for you. Also, places change. Soho has made radical changes during recent times. Walking and exploring is free, environmentally friendly and good exercise. Can highly recommend doing both countryside and city walks. 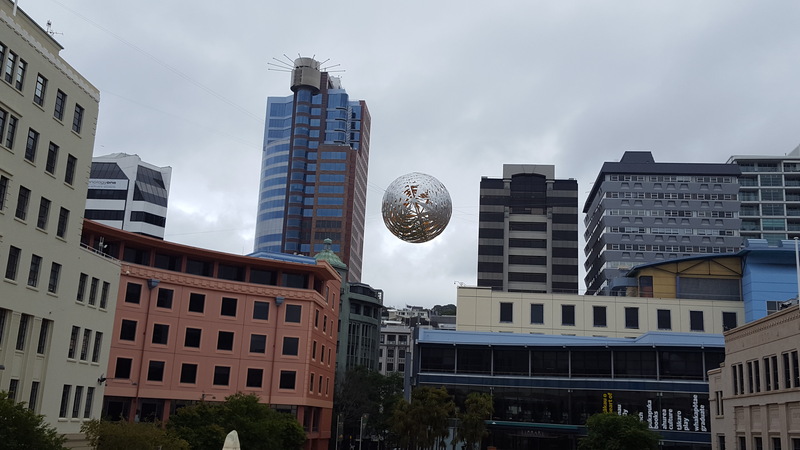 We spent the period on and around 25th December in Wellington. 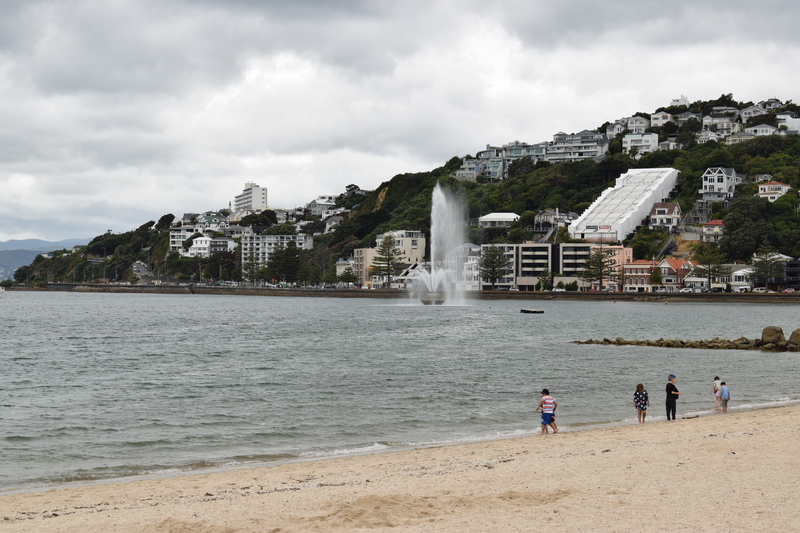 The time was taken up exploring the city, going around galleries, museums (Te Papa) and larking about on the beach. Yes, Wellington has a splendid beach. 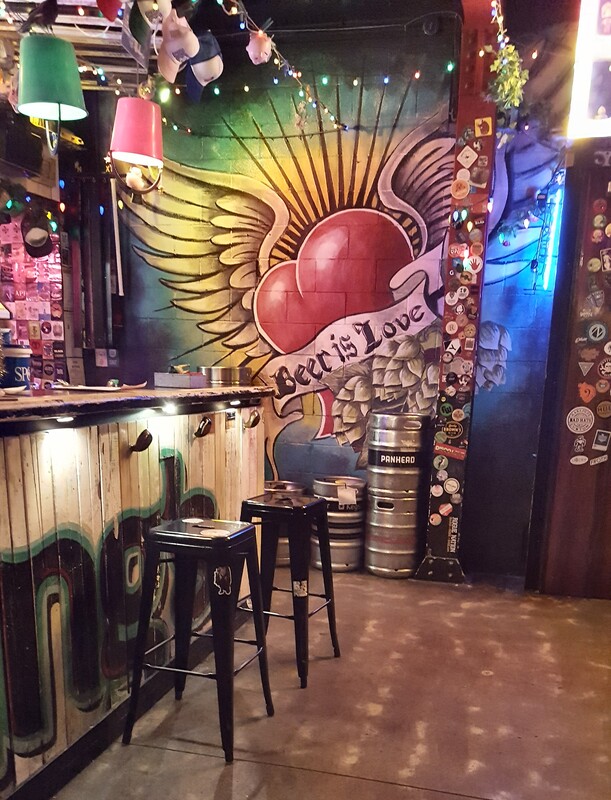 It also has lots of craft beer pubs with quirky decorations. We endeavoured to check these out of course. The city is lively, although became rather quiet on Christmas Day because nothing opens which is understandable. I did succumb to booking a Christmas dinner but apart from that did very little to celebrate it this year. Usually, I entertain the family and this year was certainly a change from that. Probably back to normal next year because I did miss the (grown up) children. It is good to have a change from the usual routine though and I did enjoy the day but it was a little surreal. I might add that it has been quite easy to forget about Christmas because they just don’t seem to make such a fuss about it here in NZ. We stayed in Cuba St which is near the main centre of Welly. 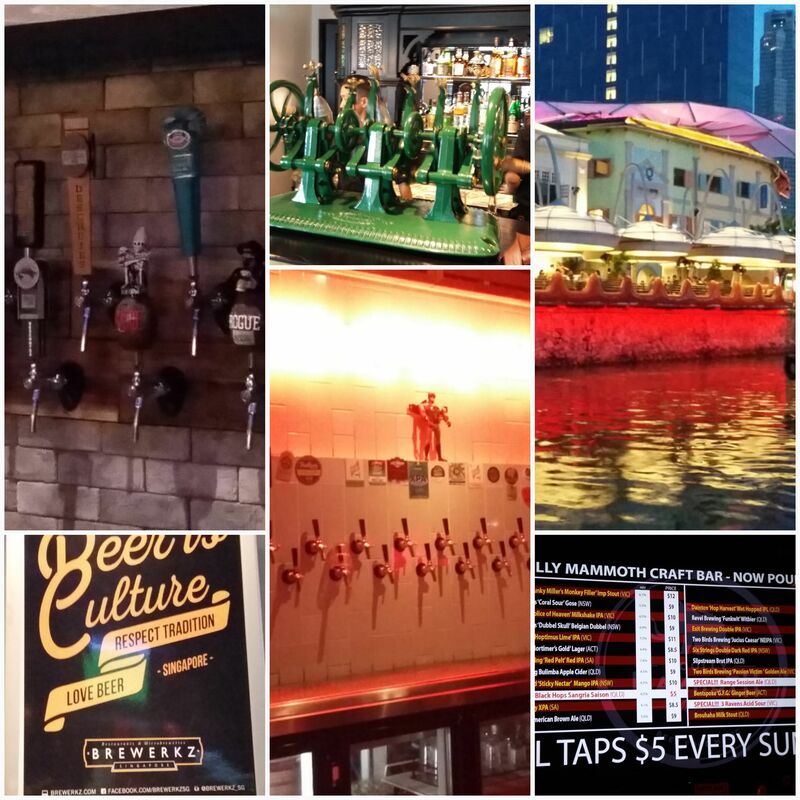 It is also near the cool bars, cafes and indy shops. 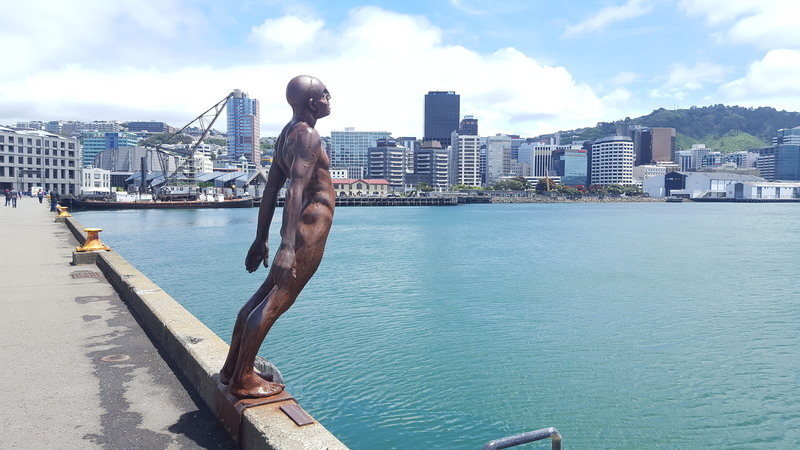 We passed many happy hours wandering around Wellington taking in the views, ornamental arty displays, local architecture and beaches. 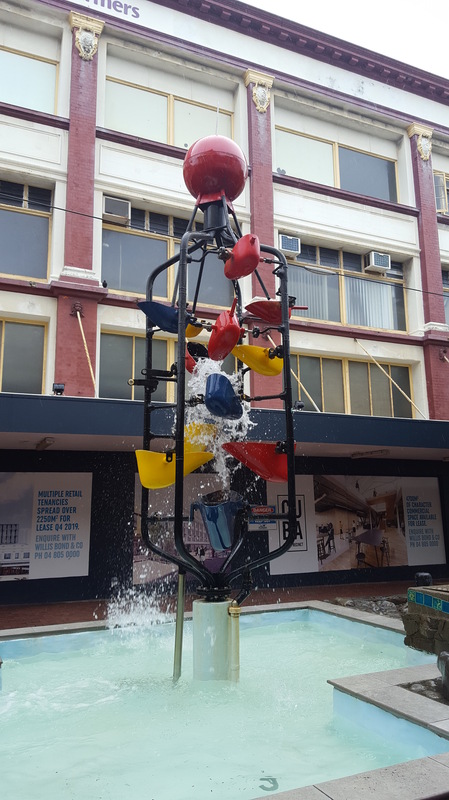 There is a bucket fountain in Cuba Street which, in my humble opinion, is too stupid and splashed water everywhere. 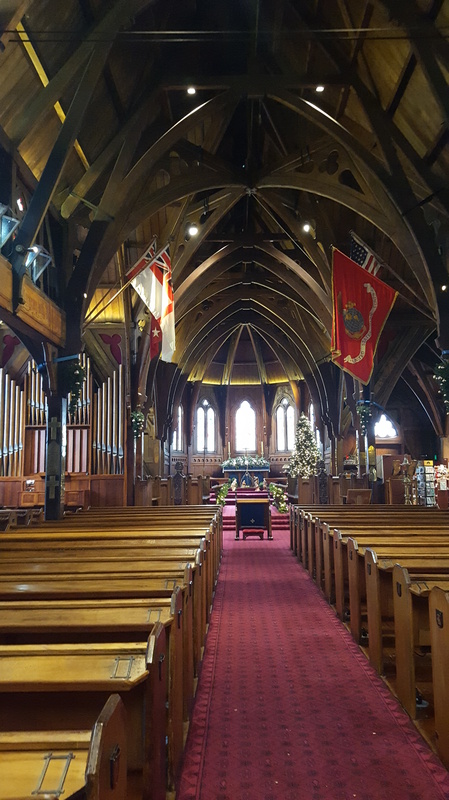 We had a look around the old St Paul’s Cathedral which was resplendent with Christmas decorations and wooden interiors. Afterwards we went up on the cable car and appreciated the fabulous views of the city. Loved looking at all the weather board cliff side properties and some have their own cable cars! It turned out to be a successful holiday break and a useful stop for the ferry. 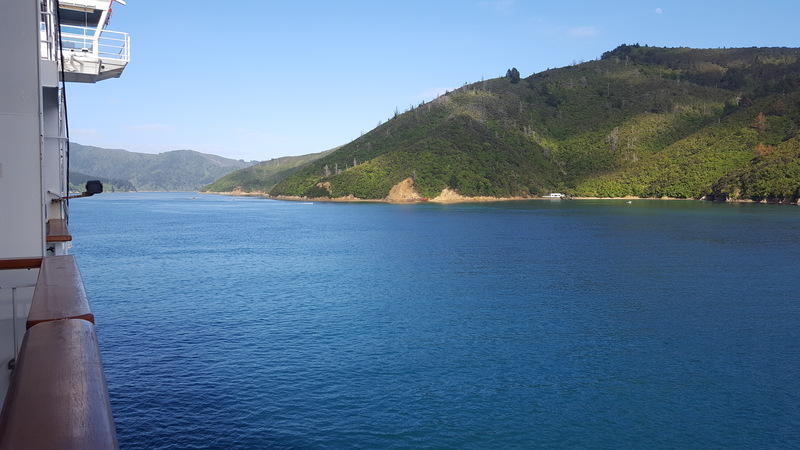 So we caught a ferry to the South Island to explore the quieter part of New Zealand. Because we’ve been having a road trip, I decided to have a break from blogging during the Christmas period. Also, I’ve had some troubling family news from home so wasn’t really in the mood for writing. However, things have improved, January beckons and I need to write so here are some very basic highlights..
Before we started exploring we caught the ferry across which goes along the Cook Strait, through the Marlborough Sounds and is so spectacular, many journalists have said it is one of the best scenic ferry rides in the world and I concur. It takes three and half hours and is enjoyable. 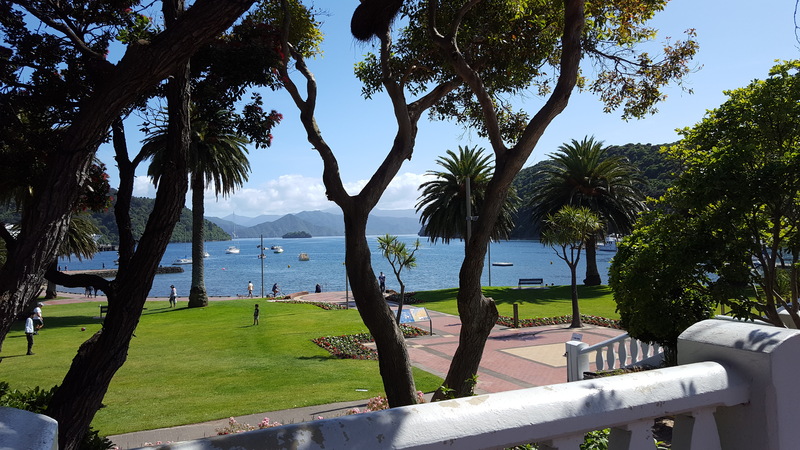 Also, when you arrive at Picton, the beautiful natural landscape continues. 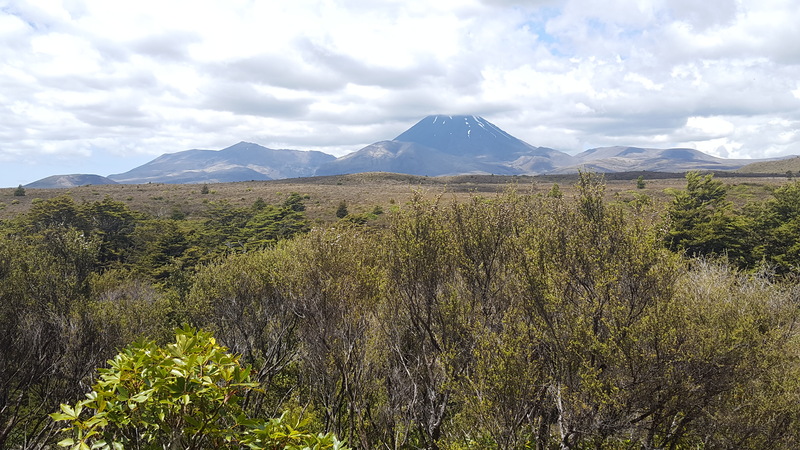 Firstly, we explored the top of the South Island by driving to the Kahurangi National Park. This is the area for holiday makers and there are plenty of those in December/January onwards. 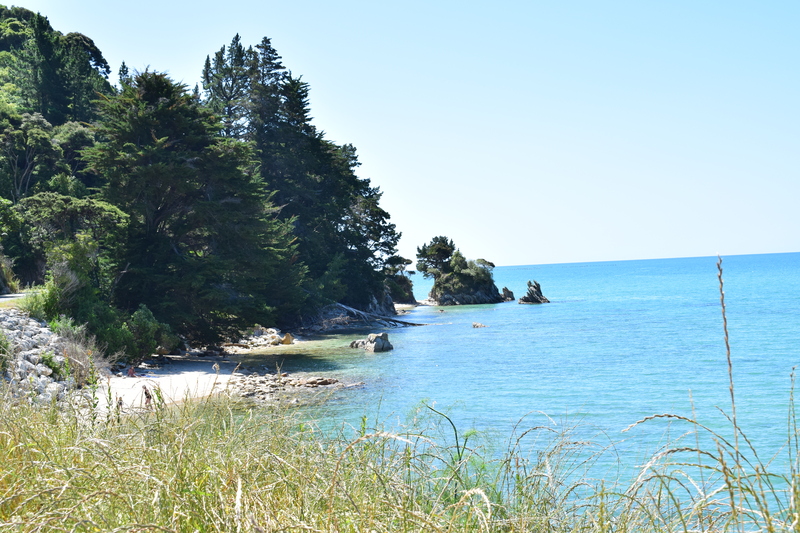 The beaches are sublime, particularly the Kaiteriteri beach. Some are quite difficult to reach and some are just wild and unspoilt. Something you don’t really see much elsewhere and impressive. 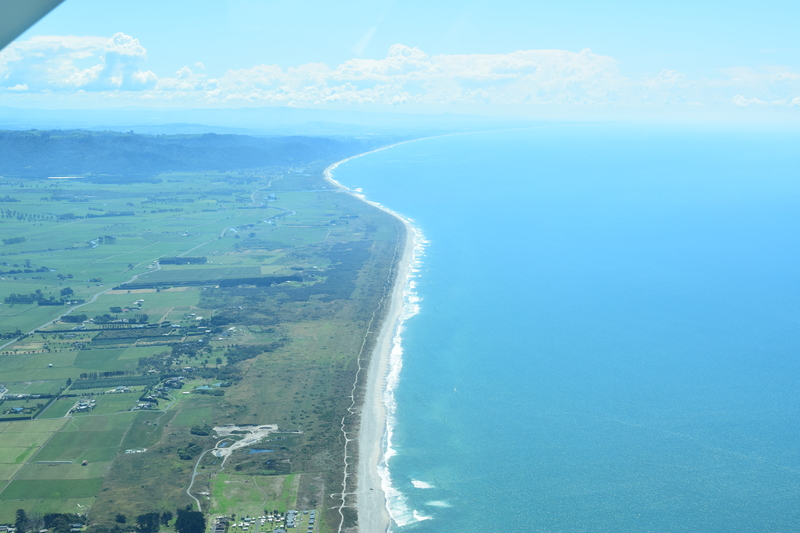 Onwards down the west coast towards Nelson and the Ruby Coast. This takes in a landscape which is diverse. Large wild wind swept beaches, geological sea cliffs, earthquake shattered slopes, serene lakes and the occasional falls. I drove through a tiny place called Charleston and hubby shouted out that we need to stop there. It is easy to drive, mindlessly because it is so rugged and quiet. 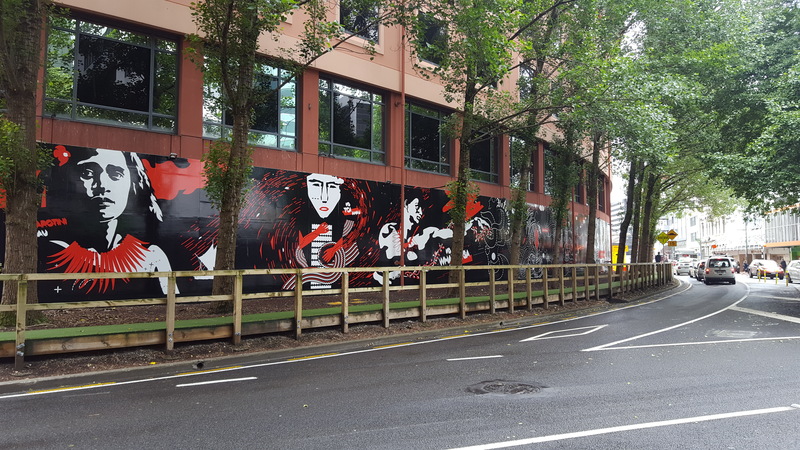 Hardly any traffic in New Zealand and you can blink and miss places that are relevant to your journey. 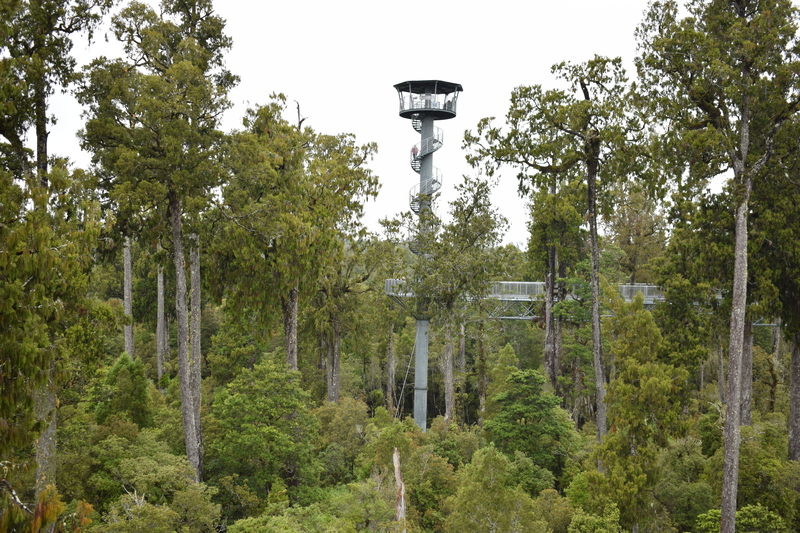 We stopped at Hokitika and enjoyed an elevated walk, 20 metres above the forest floor. This area is fascinating because it contains plants related to some of the earliest species to colonise the Earth. 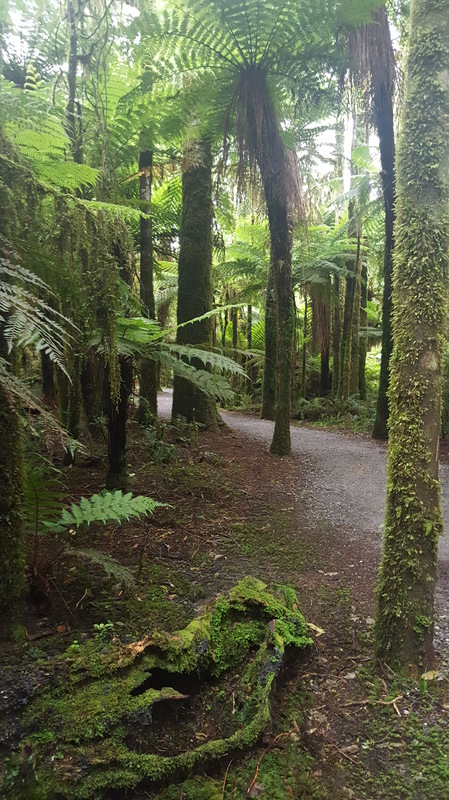 The temperate lowland forest is dominiated by Podocarp trees, ferns, mosses, liverworts and hornworts. All have ancient origin. During the walk we climbed a tower and had an even higher view. This included the mountains to the east, the Southern Alps, formed from the collision of the pacific Plate and a number of glaciations, which have helped form the landscape including lakes, valleys and hills. 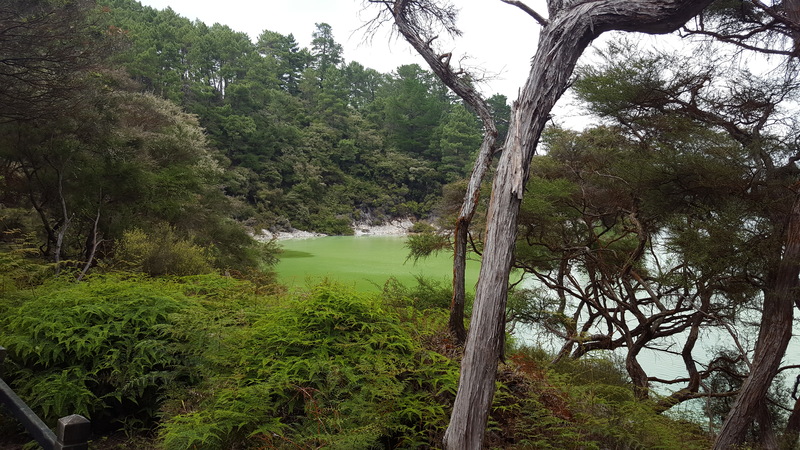 During part of this road trip we often stopped the car for short walks towards falls and it is exciting to see the flora of the NZ forest on the way. We stopped at Ross and decided to do the Water Race Walkway. 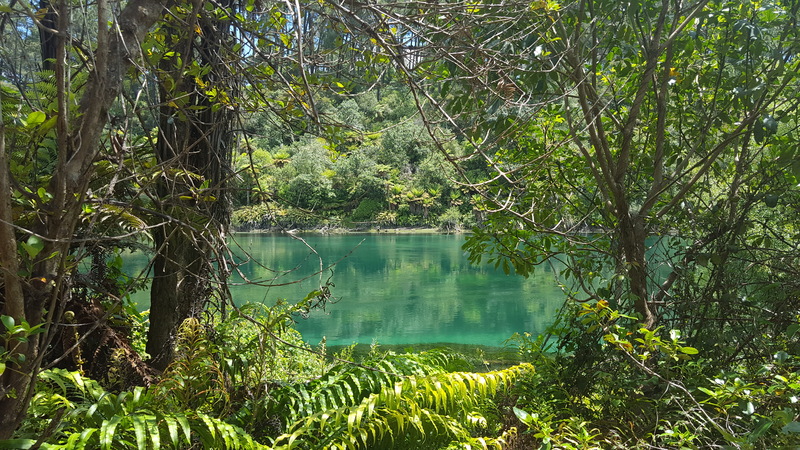 This walk takes you past Ross’ newest lake which was formally a gold mine and along the gold mining area to include the A & T Burt Sluice Nozzle which was used up to the 1900s, Jones Creek (the public paning area), and through regenerating native forest, passing numerous old gold workings, tunnels and dam sites. 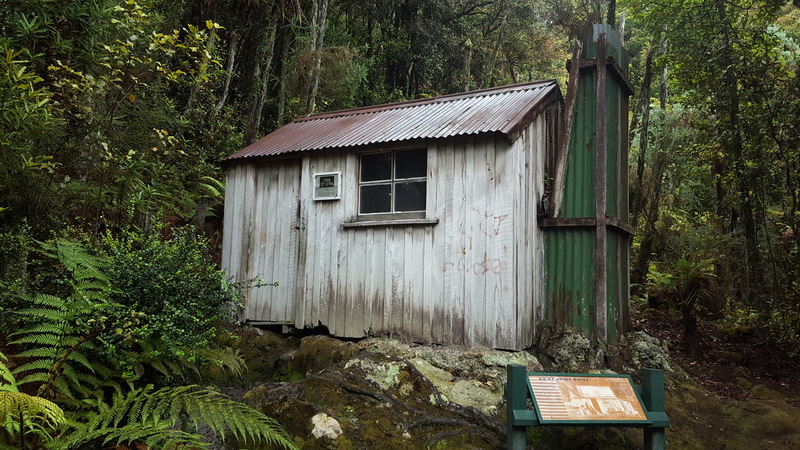 We also passed a miner’s hut before entering a historic cemetery with views of the Ross area. A great walk and very interesting too. Also, I might mention we passed a family panning for gold during the walk! 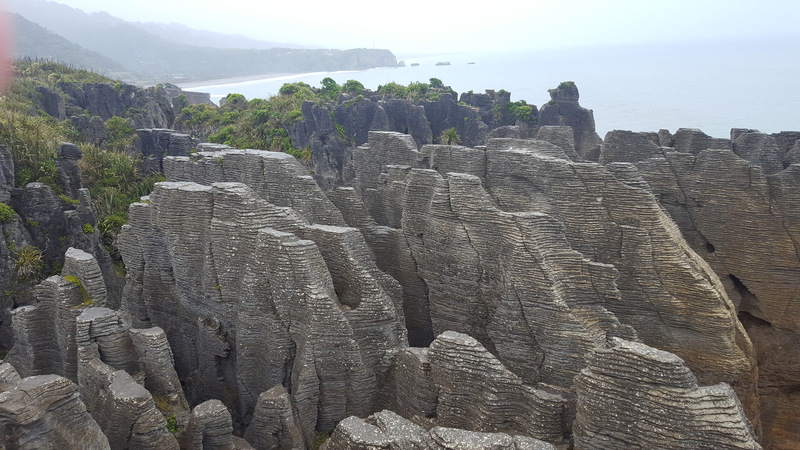 The above area lies on the edge of Paparoa National Park and is a significant feature due to the indented coves, rock pillars and pancake rocks at Dolomite Point, near Punakaiki. Evenly layered stacks of limestone have been eroded to form surge pools and blowholes. They do look like pancakes and apparently have taken thirty million years to form! They are formed from fragments of dead marine creatures and plants. Water pressure caused them to solidify into layers of limestone. Gradually seismic action lifted the limestone above the seabed where water, wind and salt spray eroded the softer layers leaving a ‘pancake’ stack of harder limestone. We stopped at a place called Haast. A one horse town if ever there was one. After locating a hotel we were advised the local pub had a band on and the hotel were able to take us there and back. Off we went to the pub. It was packed with locals and we got chatting to them. Apparently, they love our TV particularly the comedy. 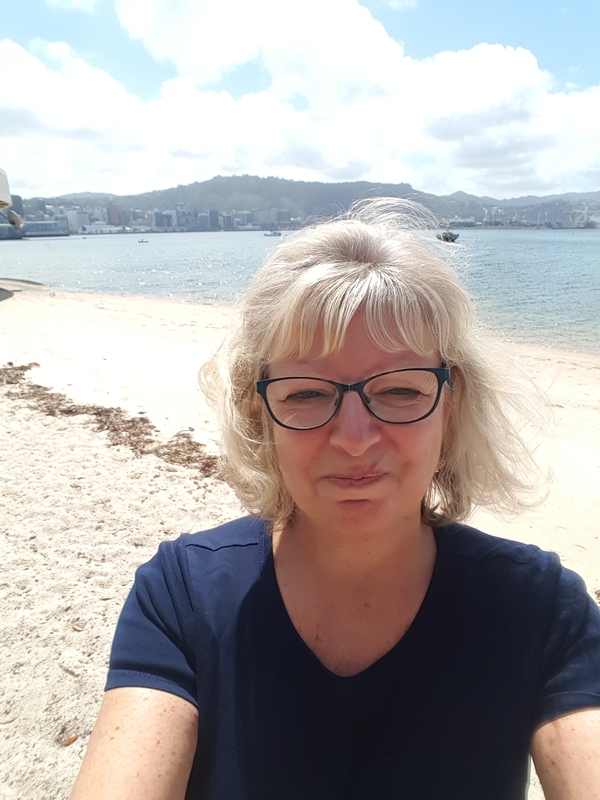 One lady told us how she had moved from Taunton (Somerset), nine years ago and how she loves New Zealand. I admitted it was a good job I didn’t come to NZ when I was young, because I’d have wanted to move to NZ. (No litter, traffic, tedious politics and shock horror, you can flipping park your car when visiting the local town.) It was a good evening with lots of reminiscing about England and the wonders of NZ. To be honest, I do prefer home and I actually love where I live with the fruit orchards, beautiful countryside, historical architecture, family and friends. Miss the dog walking and even the gym too. Unfortunately, we made the mistake of leaving before midnight and the hotel bar closed at 11.30!!! Can you imagine our shock? Anyway, onwards and upwards. It is noticeable people in this part of the world don’t celebrate this time of year as in England haha. Little bit of a culture shock which doesn’t do me any harm. I’ve not mentioned that during our time in the above area of Haast and surroundings the weather was pretty awful. We weren’t able to fly above the Westland National Park and famous glaciers (Franz Joseph/Fox), due to the inclement weather. We may try again later. When we drove toward Queenstown we finally saw the clouds part and sun shine. 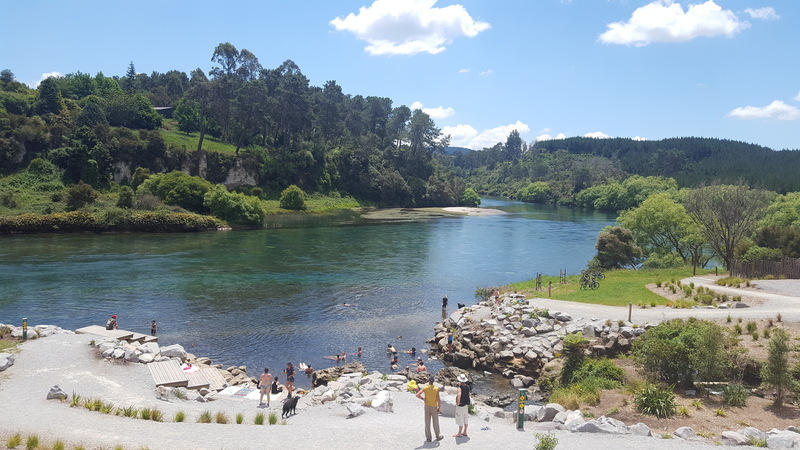 The area is lovely and we’ve been to Wanaka and Arrowtown and on a magnificent steam boat ride along the Wakatipu lake. 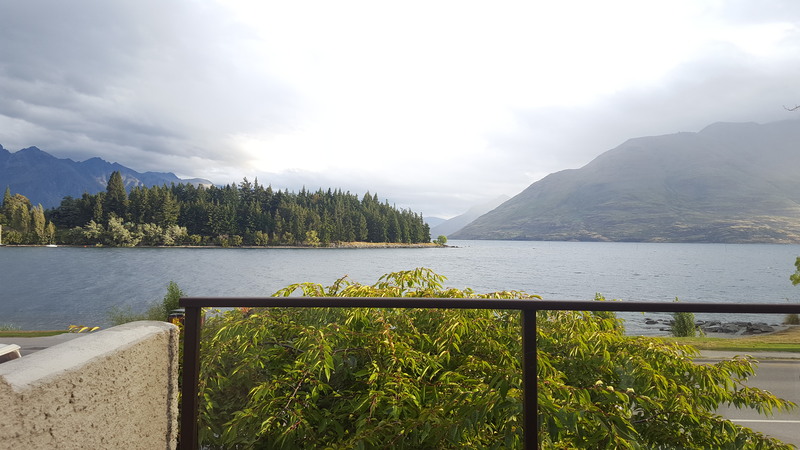 The lake is pretty and we’ve stayed in an apartment overlooking Lake Wakatipu which is quite a breath taking distraction as I’m typing this, I can tell you. The water looks very blue and clean and that is because it is. Scientists have rated it 99.9% pure. You are better off dipping in your glass in the lake than buying bottled water. Can’t think why you’d want to buy bottled water anyway, especially if you live in the UK. Queenstown is clearly the hipster place because it is full of them. 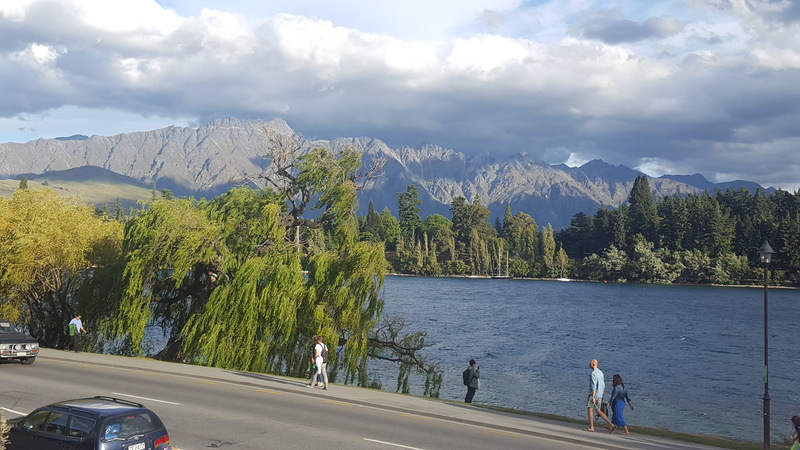 Queenstown is as much a verb as a nown because it is the adventure capital and where bungy jumping was invented. No, I’m not going to attempt a jump, in case you are wondering. I’m happy wandering around the lake, town and surrounding area. It is a beautiful place. Thanks for reading. The news from home is encouraging too. 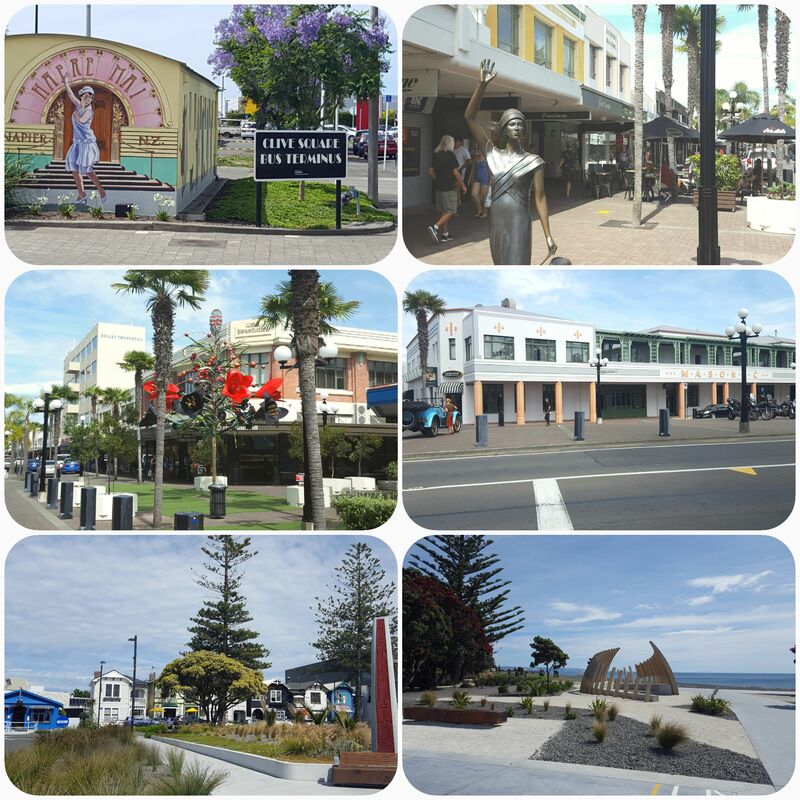 This place is the centre of NZ’s North Island and so beautiful. People aren’t exaggerating about the stunning scenery here, it is truly incredible. 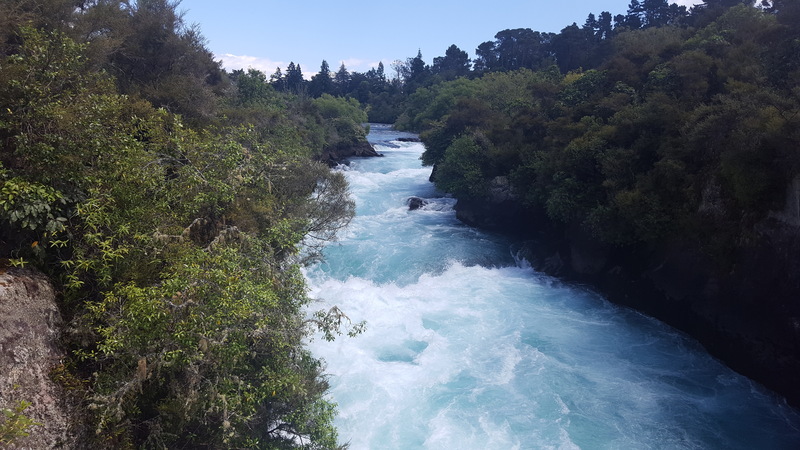 On the advice of the nice lady at the motel where we are staying, we went for a walk to see the Huka Falls. This was even more lovely than expected. Again, the main surprise is the crystal blue water. The photos on this blog post are not photoshopped. This is the colour of the water as we strolled towards the cascading falls. One of the best walks, I’ve ever done, if not the best one. Also, the colour of the foliage is incredible. The light of the sun, gleaming onto the leaves gives a magnificent, surreal glow. The falls themselves consist of 200,000 litres of water plunging nine metres off the rock face every second! This amount of water could fill an Olympic pool every minute. It is not advised to attempt white water rafting here because the falls have claimed the craft of many river users. The clear, reflective racing water before the falls is just as breathtaking. Although it is fun to see the tumbling bubbles, hear the noise and enjoy the natural beauty of Nature at work. Apparently the flow is so strong it prevents the migration of trout and eels which isn’t surprising. 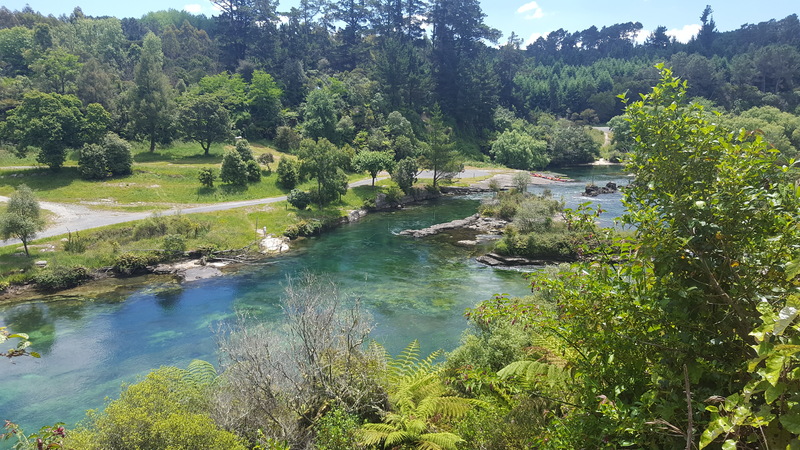 The volcanic caldera that forms Lake Taupo drains into Huka Falls and it is quite magical to walk this trail. It is also great to see all the young people chilling out by and in the water too. Certainly more fruitful than staring at screens all day! 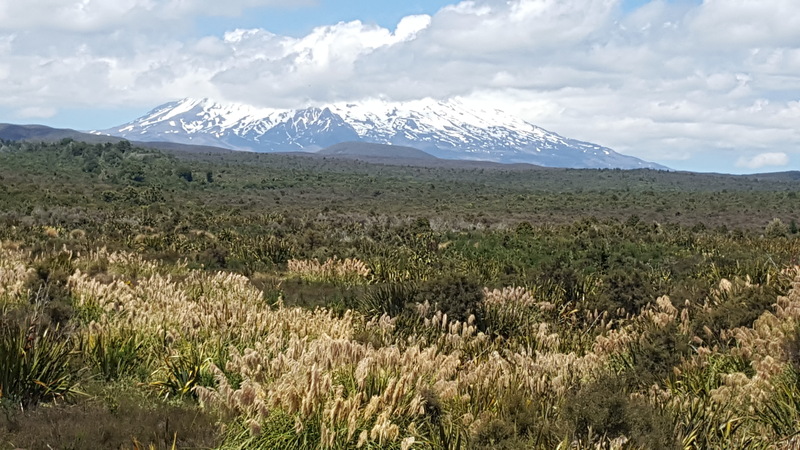 The next day we took a drive around the lake towards Tongariro National Park and enjoyed the close up vision of Mount Ruapehu and Mount TongarIro and surrounding area. The evening before, we decided to explore the local restaurants and bars. After a rather strange meal of bread coated steak, vegetables and chips we admired the momentous sun sets and went in one of the lake front bars. 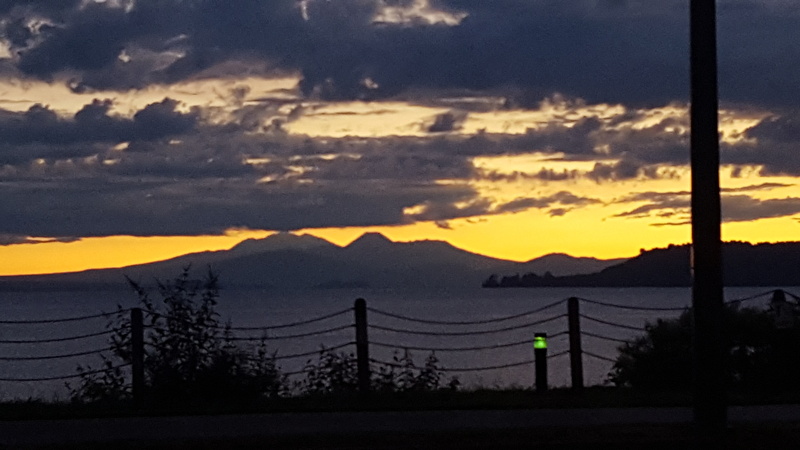 As I was enjoying a drink, I couldn’t understand why everyone wasn’t gawping at the sun set over the mountains (mentioned above). Suppose if you live in NZ, you are used to the impressive sights. Anyway, we went to another bar and I thought I recognised the chap buying a drink. Told hubby thought I’d spotted his friend’s son. My husband started randomly shouting his name and he turned around. He confirmed his identity and invited us to join them. Crikey. We had a great evening discussing NZ, etc. What are the chances of walking into a bar and recognising your friend’s son from our home town, in England? Small world or what? We couldn’t believe it! Has this ever happened to you? Another great evening. Enjoy the break everyone and a Happy New Year to you all. Thanks to all those who’ve supported my blog and I look forward to writing some more posts soon. Yes, you’ve got to do it, haven’t you? New Zealand is the place for them after all. Adventures. Well, hubby did the white water rafting but I draw the line at being out of control in a dinghy. 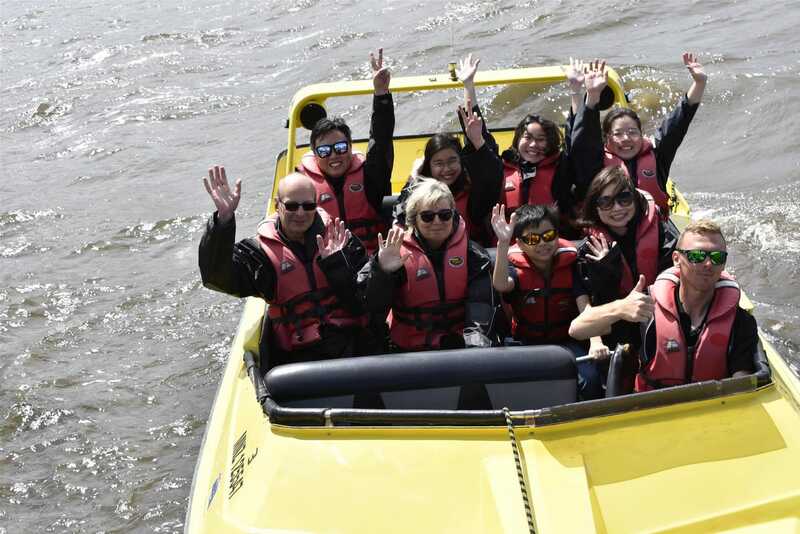 However, I did enjoy the jet boating. This is enormous fun and felt safe too. An adrenaline ride is what you endure, mean enjoy haha. Managed not to scream unlike some and it was fun and interesting. The driver took us to Makoia Island which is majestic and now a wildlife area/bird sanctuary. We enjoyed many speed bumps over waves and some really good spins. Fabulous. 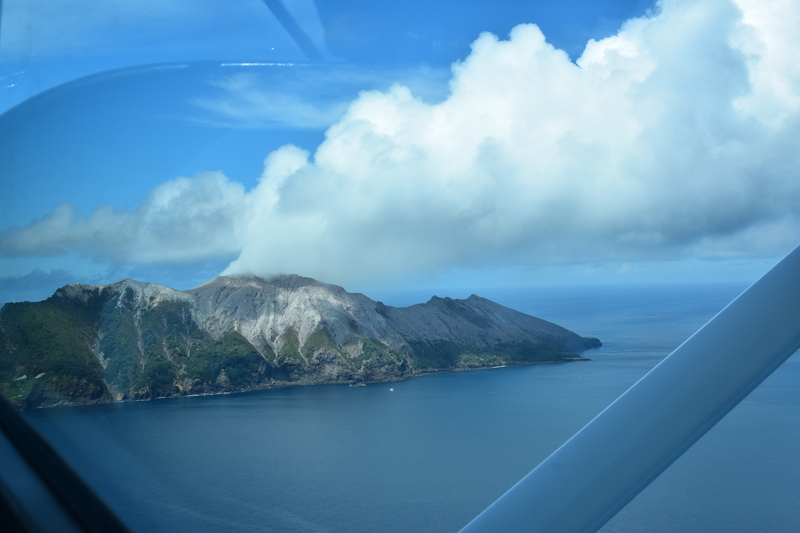 Next day, we treated ourselves to a seaplane ride to the White Island. 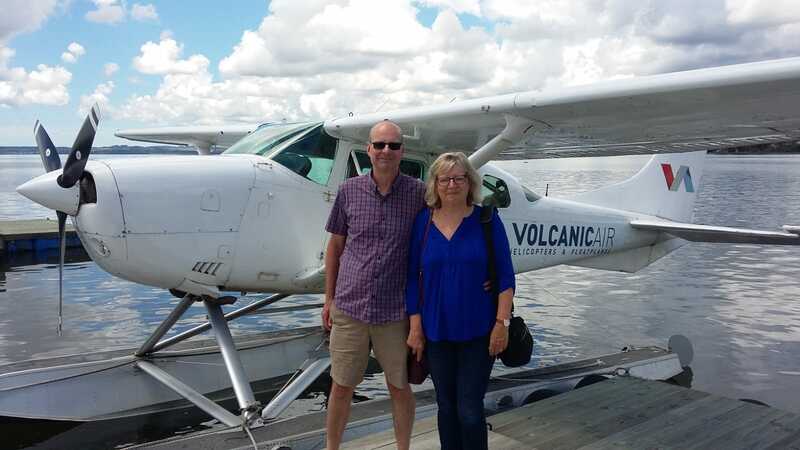 They call it a Floatplane Adventure, and it was too. Honestly, if you like venturing up to the sky, in a 1976 Austin mini, then this is for you. Well, this is what it felt like especially at first. A tiny craft shaking about the landscape. Thankfully it did settle down and we saw some magnificent views of dolphins tumbling in the sea. 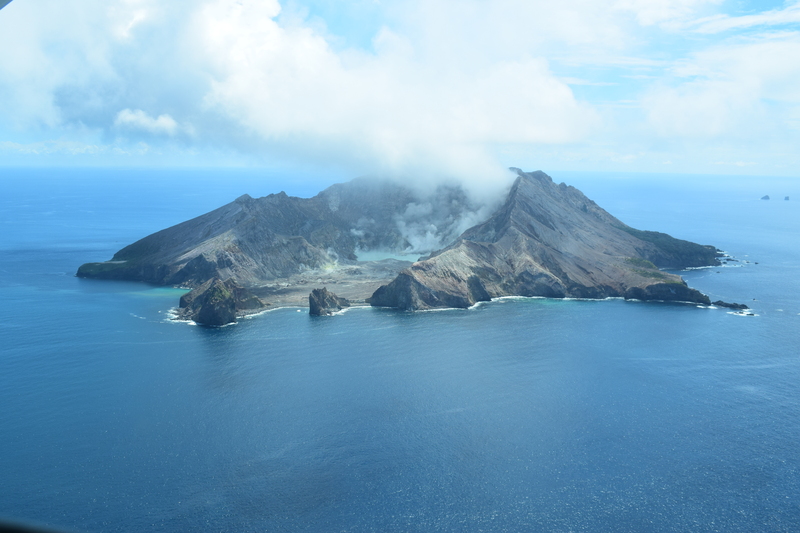 Yes, we flew over New Zealand’s permanently active volcano, White Island. Something I won’t forget in a hurry! 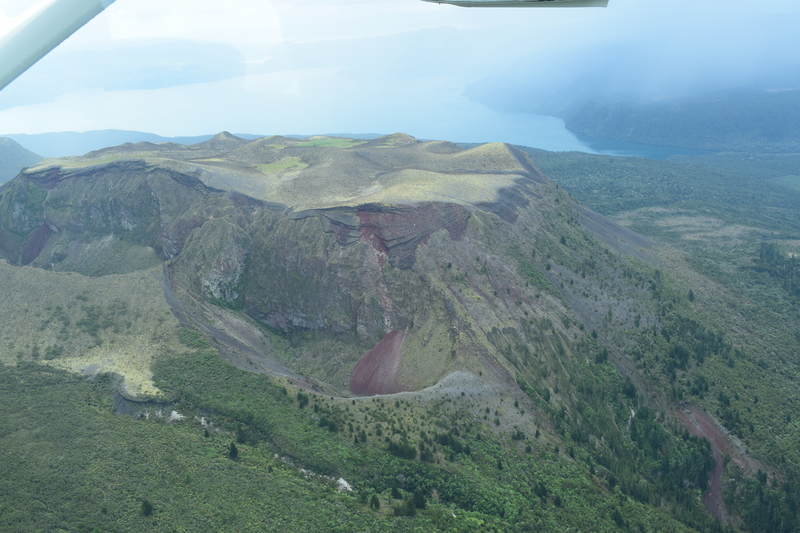 What amazing aerial views of the island’s crater lake and ever changing activities. 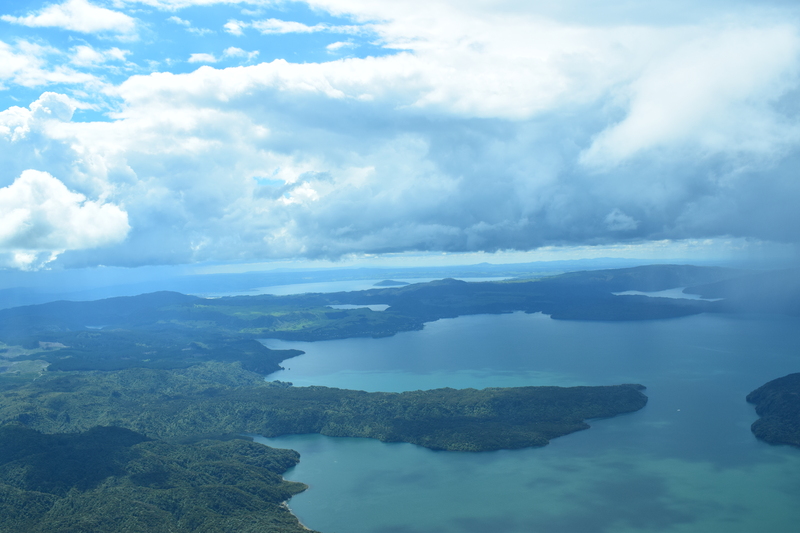 As if that wasn’t enough we continued across the Pacific Ocean to Mount Tarawera. 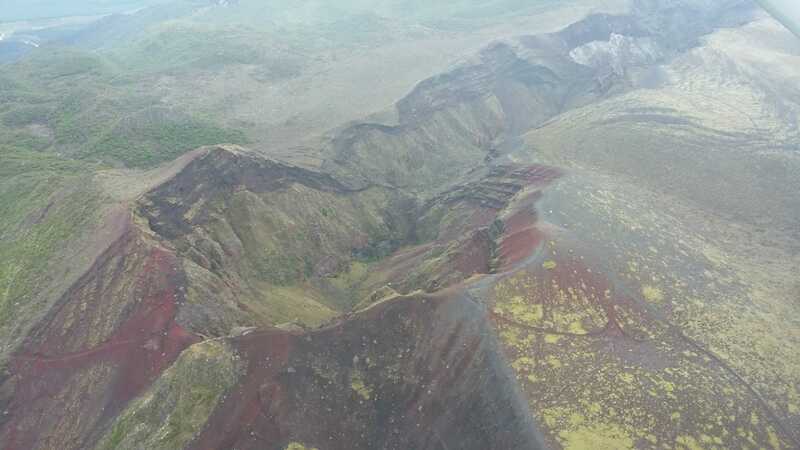 It erupted in 1886 leaving massive craters and cracks. 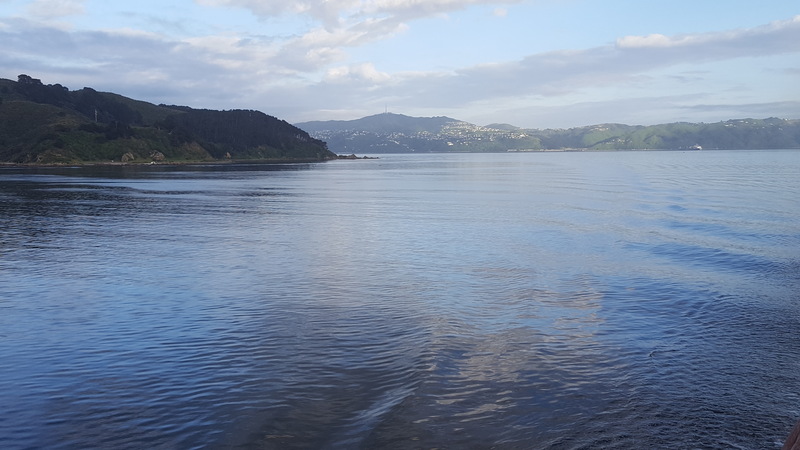 During the experience we enjoyed magnificent views of the coast, national parks, volcanoes and the huge Kalangaroa forest. 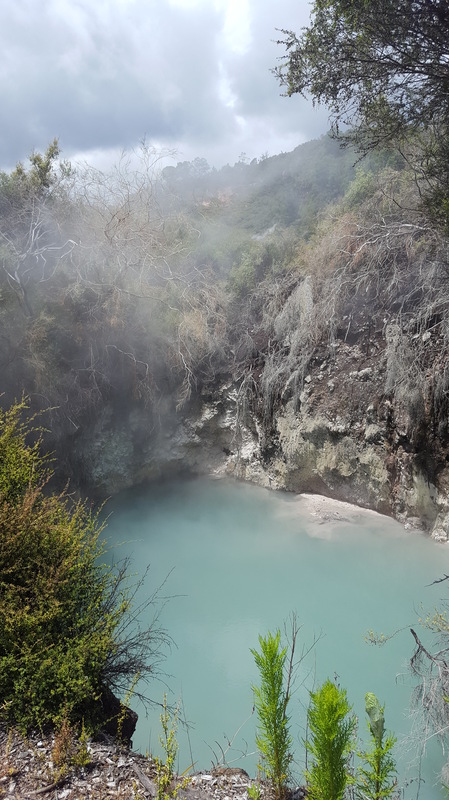 Then a gradual descent back to Rotorua via the Walmangu Volcanic Valley and lakes. Flipping amazing. 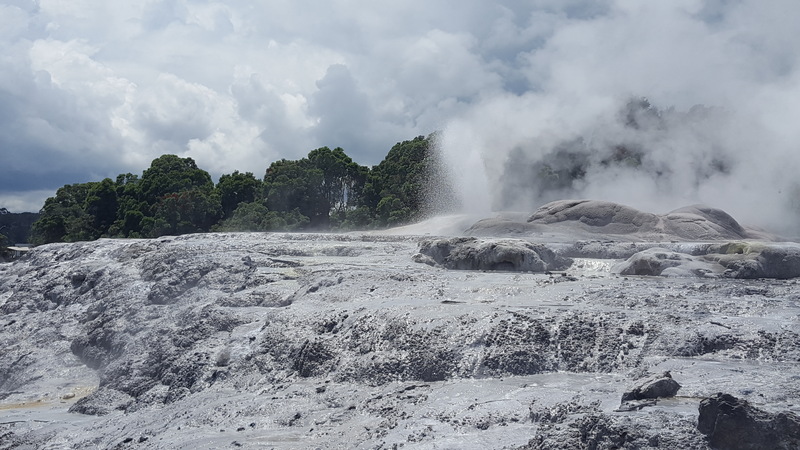 We came to Rotorua to visit the incredible earth forces so that’s what we did. 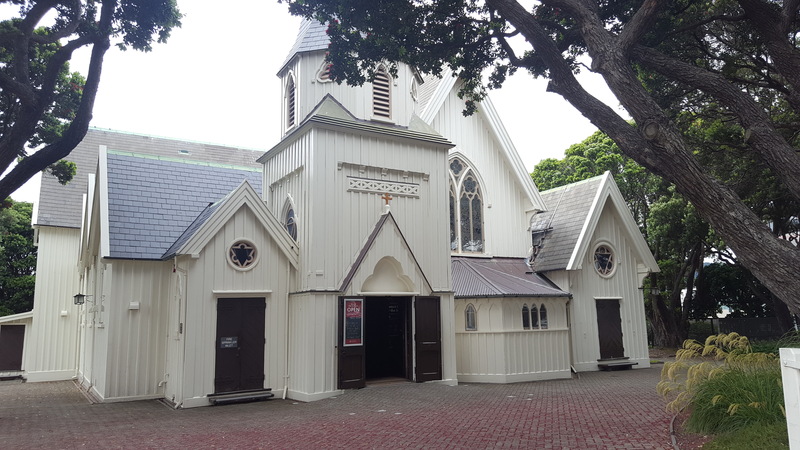 The first place, above, also has exhibitions about Maori culture, kiwi habitat, architecture and Maori arts. 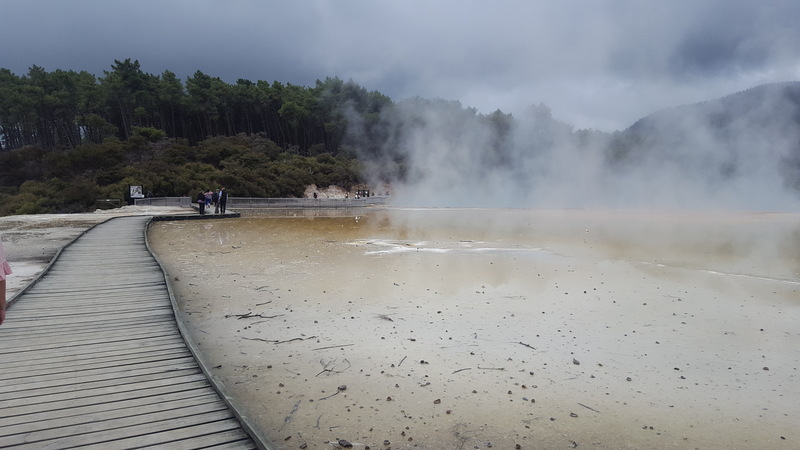 Te Puia is an area of geothermal activity with bubbling mud pools and geysers shooting 30 metres, twice an hour. Mud from heated pools was used by Maori to treat ailments such as cuts and burns. The acidic mud contains minerals which rejuvenate the skin and is considered far more beneficial than bandages as they leave a scar. 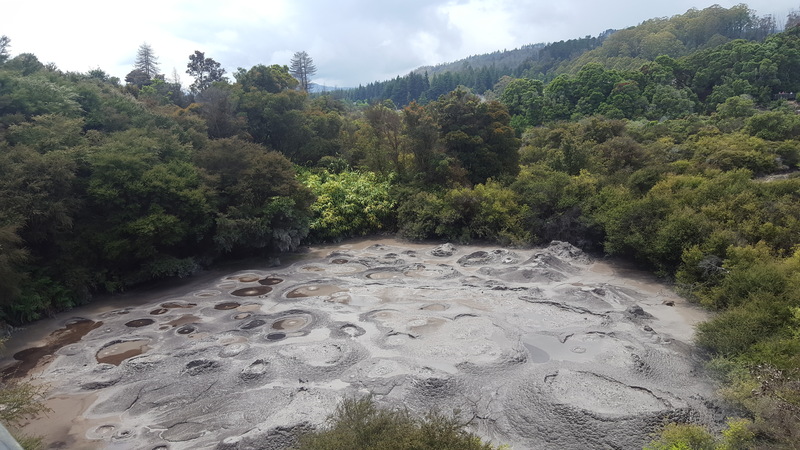 This encouraged Rotorua to become a spa town from the 1880s and today the mud is sold around the world. The geysers are amazing too. As we came towards this park by car, we saw random steam billowing out of the ground amongst the natural landscape. They function from hot water deep beneath the earth. Narrow chambers where water becomes pressurised and heated up beyond boiling point. The mix of steam and boiling water is sprayed out as a geyser. It is extraordinary to see this natural phenomenon. I quite like spotting the tiny, natural mud pool or small hole in a stream with tiny bubbles escaping. Also, it is fascinating to see Maori folk carving greenstone, whale bones, wood, view art and weaving. Whalebone is highly valued because of the spiritual associations with the ocean. We watched a man intricately carve a whalebone and let us touch and admire his work. Onwards, to observe the carved ornaments and adornments which are still worn today. These are considered a life force and not just decorative. They are physical representations of spiritual connections with the environment and their culture. Seeing the carving is interesting because it is not only clever but different from anything you may have experienced before. Raga is a wood which is tough and durable so often used for weapons and tools. The totara tree is a pink/red wood and used for canoes, buildings and carving. The tree is found throughout New Zealand and when an important chief dies, they say ‘a mighty totara has fallen’. This area is well worth visiting because it covers so much. 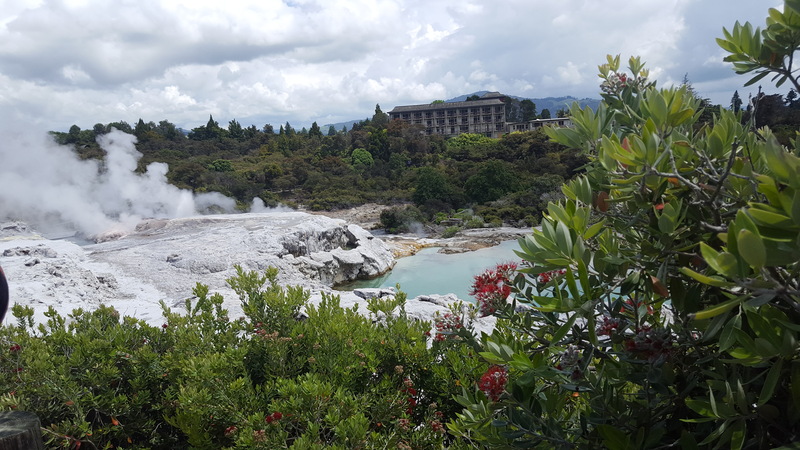 Te Puia spans 70 hectares within the Whakarewarewa Geothermal Valley and contains many historical facts regarding individual geysers, mud pools, hot springs and silica formulations. 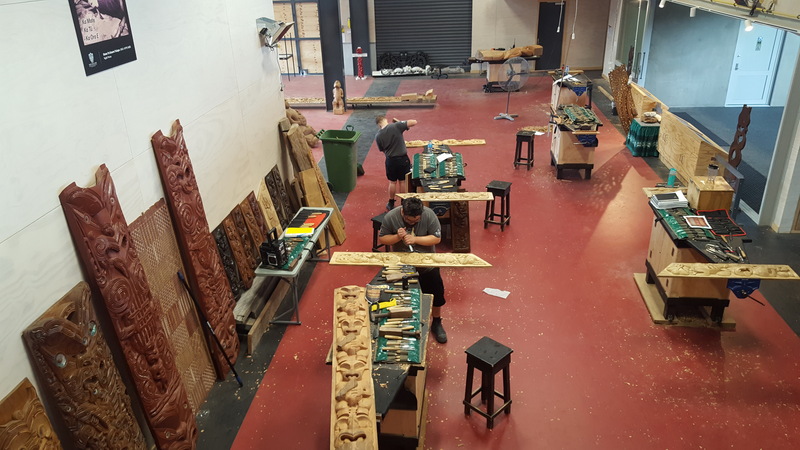 Also, you may see the native Kiwi bird, wood carving, weaving, stone and bone carving. The historical facts and stories are extremely interesting and we had a great day and learnt a lot of cultural and local information too. Another interesting place which consisted of three walks and a geyser demonstration. 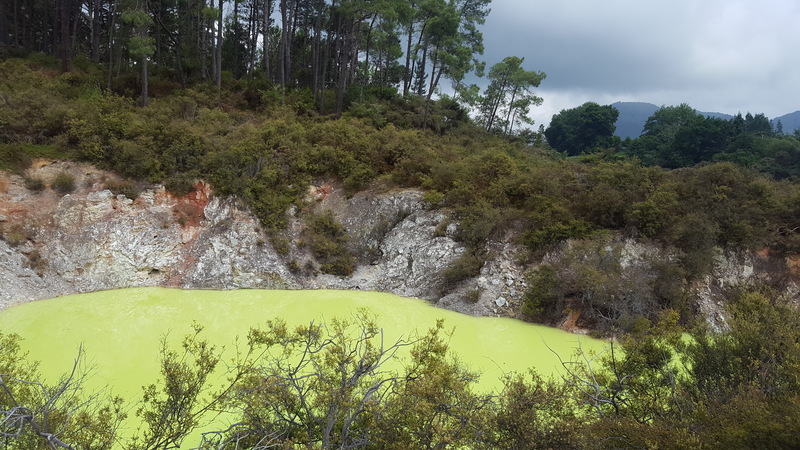 As you explore the area you see an amazing selection of volcanic domes, craters, cold and boiling pools of mud, water and steaming fumaroles. You also get a bit of a workout because there are quite a few hills and steps as well. All good fun and you won’t see such incredible sights anywhere else. What fascinated me are the colours in the area which are natural and due to different mineral elements showing nature as a wonderful thing. Decided to stop for a few days at Hamilton. An average size town with a couple of good pubs. The first pub called The Londoner served up a decent IPA and amazing chicken fillet filled with spinach and soft cheese, pine nuts, mash and veg. Omg it was delicious. Hubby, I might add, enjoyed a London Pride real ale. Onwards to The Local Taphouse for a few IPAs and a look at their local CAMRA mag. Well obvs not CAMRA (thank goodness) but an organisation called soba… Society of beer advocates. Much better title, in my humble opinion. Love the irony. Somebody has a sense of humour. 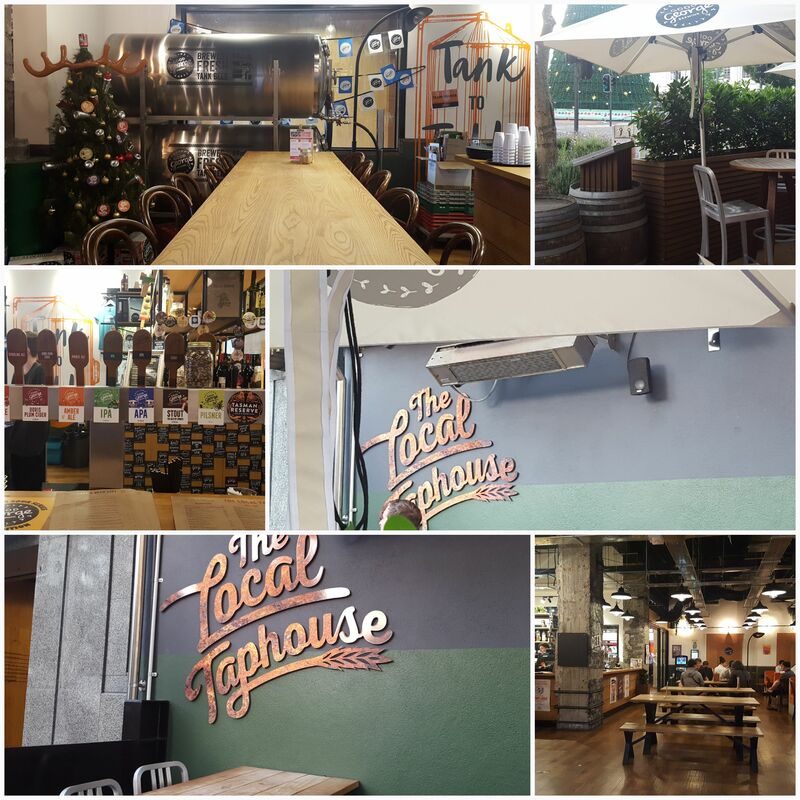 We were advised that a decent pub doesn’t exist in Aus and NZ by many people. Nonsense. We’ve found some smashing pubs in both countries. 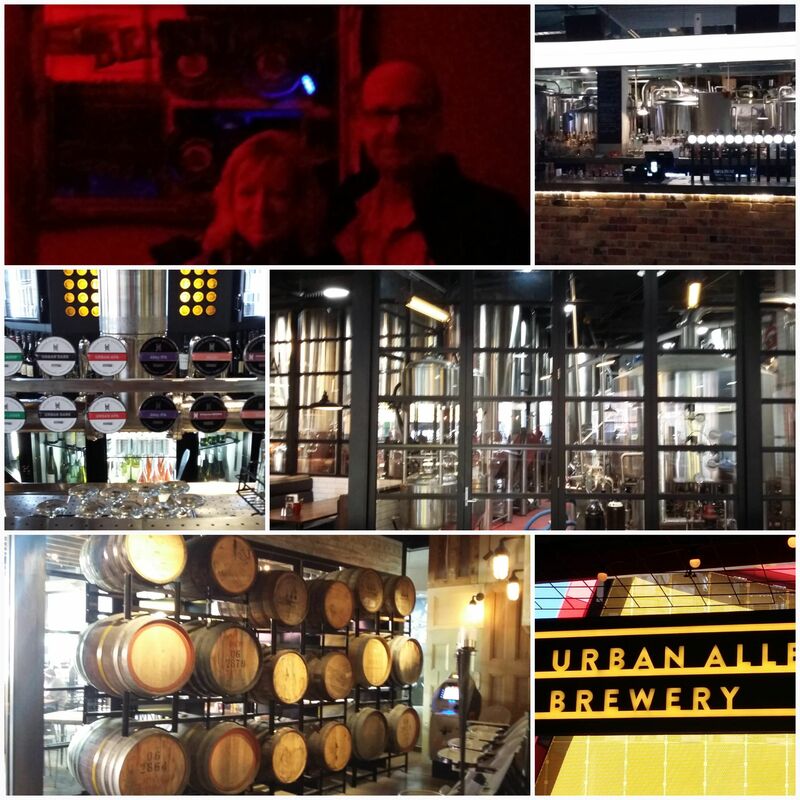 Had some wonderful beers, accompanying food and friendly locals. They aren’t all boxy sterile places but great places. Funnily enough the first pub was awful. A great big soulless hall type building serving beer in stupidly small glasses. Oh dear, I thought, this is going to be a long, arduous trip. After that we found loads of decent places and it’s been a tremendous trip. 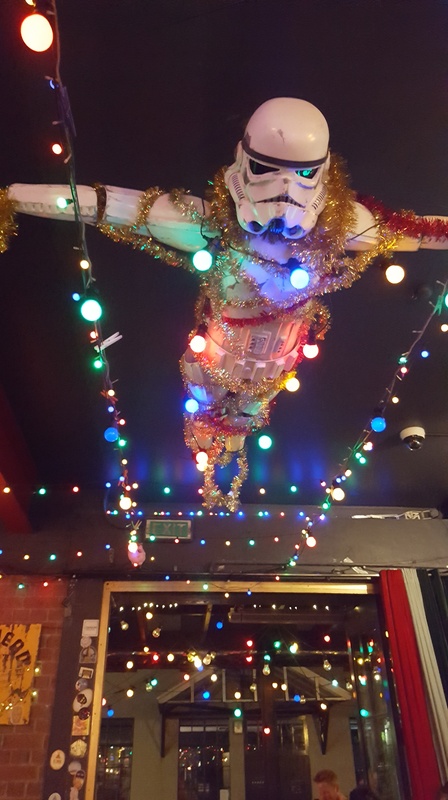 The Aussie and NZ pub is great. You heard it here first or should I say thirst? This place is a lovely surprise full of beautiful flowers, trees, shrubs and ideas. Ideas? Yes, the landscaping is innovative and at the moment they are working on a Surrealist garden. 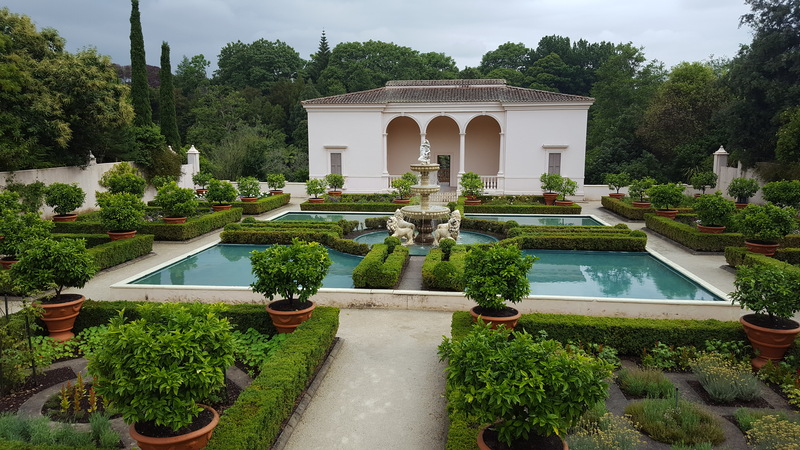 The area has a collection of gardens from all over the world including Japan, India, China, Italy and of course, the best, England. Exquisite and so well done. 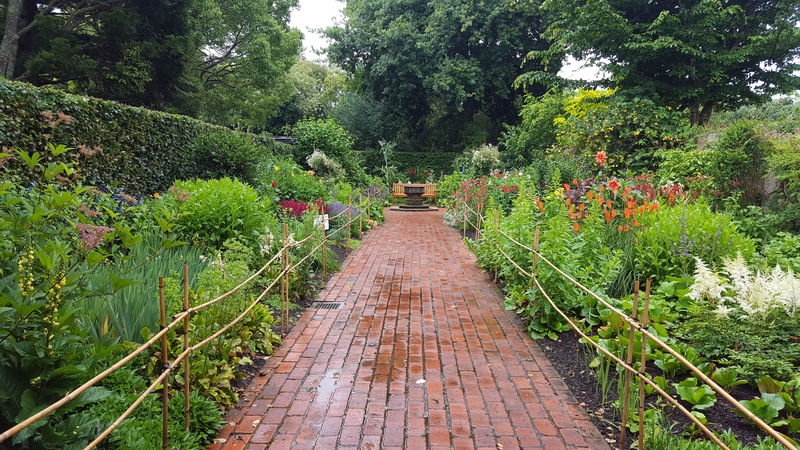 Unusually, they are not known to be botanic gardens but gardens that tell a story across all cultures. 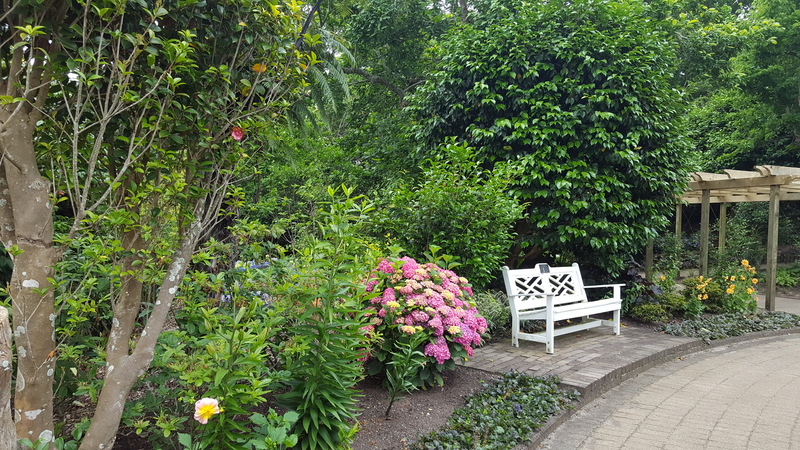 This concept was started in the 1980s by Hamilton Gardens director Dr Peter Sergel and the concept was enthusiastically received by the local community. Of course, the gardens were originally a rubbish dump and the area was passed to the Hamilton City Council During the 1960s for opening as a garden for the public. The site is now a wonderful 54 hectares, free to visit and worthwhile visiting.